Families have asked why our campers love sandwich days. Some of their favorites are an open faced fresh tomato and basil sandwich on freshly baked warm ciabatta with feta chunks and olive oil drizzle. We bake the ciabattas only hours before serving and the campers love it. 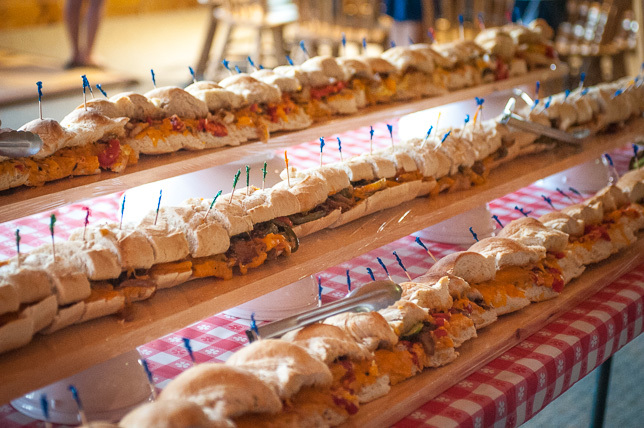 Often we make a variation as a closed faced six foot sandwich served on a board, buffet style with just-grilled warm fresh local veggies such as zucchini, yellow squash, eggplant, roasted peppers and homemade hummus with an extra virgin olive oil drizzle. When we do this sandwich we usually offer our Philly Cheese Steak option on a warm six foot French baguette with freshly roasted beef, grilled fresh onions and peppers, and fresh mozzarella. Nothing, however, beats our hot corned beef and pastrami carving station at Saturday lunch where chefs carve your sandwich to order on fresh marbled rye with a half sour new pickle. Oh yes, sandwich days of summer. We woke up this morning to the sad news of the passing of our friend Chef Noble Masi. Noble who was our founding chef and is a continuing inspiration to us passed away yesterday with his family at his side. Our hearts are with his wife Robin, children John and Andrea and the entire Masi family. Noble was with the Point from its start and served as Chef for 26 years, establishing the highest standard of excellence. We have treasured great times with Noble and Robin, and the kindness and generosity of spirit you both bring to the Point. From teaching his staff in the kitchen elegant grand hotel-style service, and creating Point O’Ritz in the process, to inspiring us to ever greater heights we thank you and celebrate you, Noble. 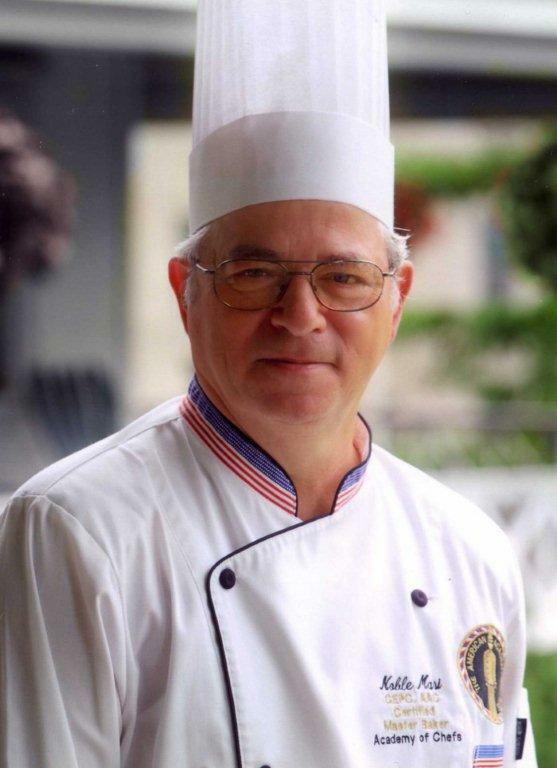 In addition to Noble’s legacy at the Point, many of you know that he mentored generations of chefs, both while teaching baking at the Culinary Institute of America and even after his “retirement”. He served as an ambassador for the CIA and encouraged aspiring chefs to pursue their dreams. In his years at Point O’Pines, many CIA students and chefs also spent summers learning from Noble working with him in the kitchen at the Point. Last summer we were honored to have you attend Point O’Ritz as our guest, so you can see the continuing traditions of the Point. Your legacy is forever in our hearts. Today we are thinking of how lucky the Point O’Pines family is to have so much to be thankful for. 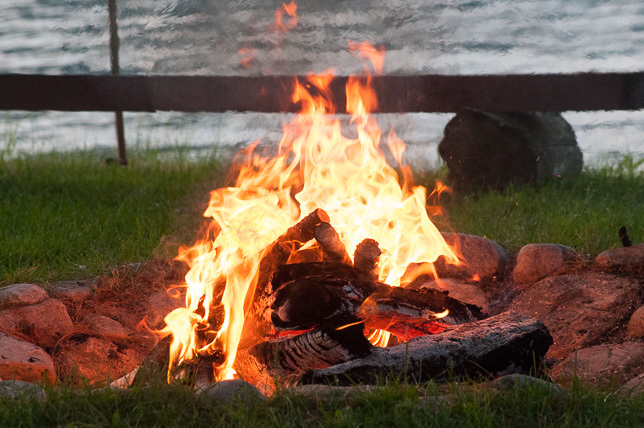 We appreciate our friends, including campers, staff, parents, alumnae and our local community. We appreciate the beauty of the Point and our Adirondack mountains. We appreciate good food and time with family. Thank you all for being a part of the Point and a part of our lives. 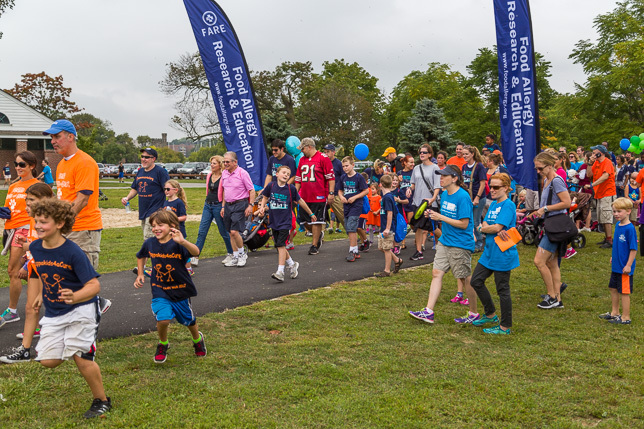 This weekend we were back in Westchester, NY for the 2014 FARE (“Food Allergy Research & Education”) Walk for Food Allergies. 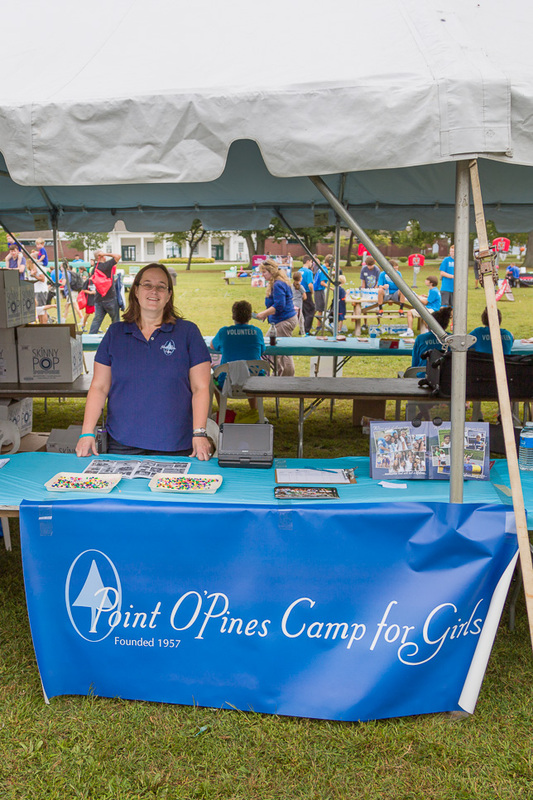 Point O’Pines Camp is a sponsor of this great organization, and Brandon and Caressa got to see some of our campers there. It was also terrific this year to share our experiences of being nut free. 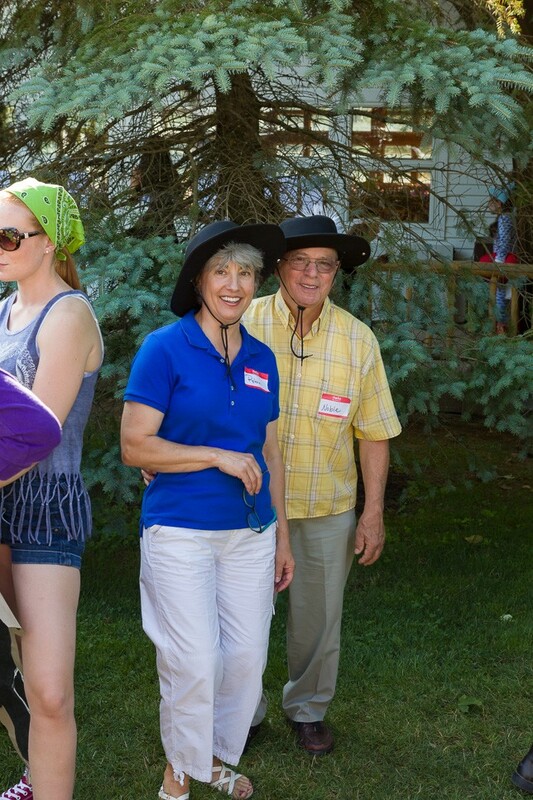 Campers just love the organic farm-to-table program at our beautiful 500 acre farm and equestrian facility. At the farm, the girls nurture seedlings in our greenhouse and then grow the tastiest vegetables in the garden with our organic farmer and cooking instructor. 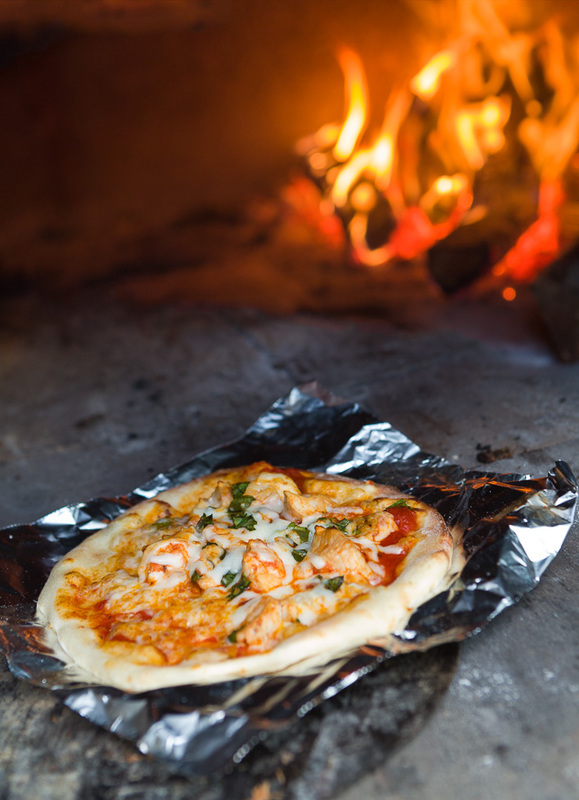 Campers create tasty meals from home grown vegetables and learn to cook them for lunch or dinner in our beautiful wood-fired Italian stone “forno” oven. You can enjoy the “best breads and pizzas in the world” served with your choice of fresh toppings. 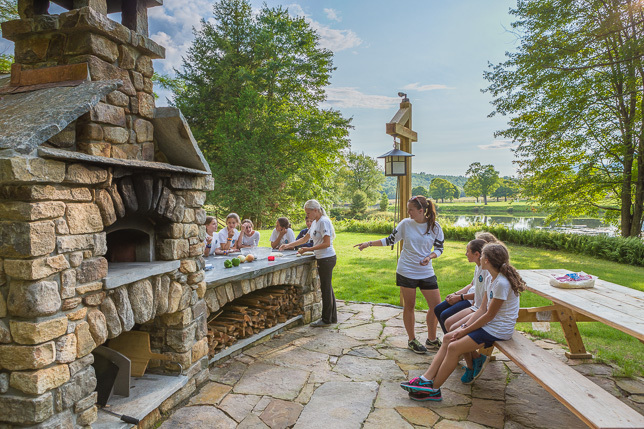 It is such a treat for campers to be able to enjoy this gorgeous outdoor kitchen with a view.